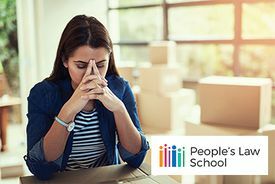 This manual from People's Law School is a problem-solving resource for legal advocates, paralegals and lawyers in British Columbia whose clients are having problems with consumer or debt issues. Visit the People’s Law School website at www.peopleslawschool.ca for more coverage of consumer and debt law and how to deal with legal problems. Consumer and Debt Law, © People's Law School is, except for the images, made available under a Creative Commons Attribution NonCommercial ShareAlike 2.5 Canada Licence. The 1996 to 2012 editions of Consumer Law and Credit/Debt Law (as it was then called) were published by the Legal Services Society. This manual is produced by People's Law School, a non-profit society in British Columbia, Canada dedicated to making the law accessible to everyone. We provide free education and information to help people effectively deal with the legal problems of daily life. Contact us at info@peopleslawschool.ca or visit us online at peopleslawschool.ca. Consumer and Debt Law is a Clicklaw Wikibook. Operated by Courthouse Libraries BC, Clicklaw Wikibooks provides a platform for collaboratively developed, plain language legal publications. The wiki technology enables easy updating and a highly accessible experience on the screen and in print. You might be accessing this page online on a computer, or by having downloaded a digital copy to your tablet or mobile, or by reading it in a print book at a public library. By supporting a range of digital and print formats, Clicklaw Wikibooks helps provide legal information for people in ways that meet their needs. Writing and editing for the 2018 edition of Consumer and Debt Law was done by Linda Rainaldi and Drew Jackson. Layout and production was done by Elena Renderos. The 2018 edition of Consumer and Debt Law was reviewed for legal accuracy by Alison Ward. Alison is a lawyer at the Community Legal Assistance Society in Vancouver, where she runs a Law Foundation-funded program called the Community Advocate Support Line. She provides legal advice and support to community-based advocates in BC who assist clients with poverty law and family law problems. Alison was previously a staff lawyer at the Legal Services Society (1994 – 2010) where she practiced poverty law and family law. This manual was made possible through the financial support of the Law Foundation of BC, the Notary Foundation of BC, the Department of Justice Canada, and the Province of British Columbia. This page was last edited on 24 October 2018, at 11:04.